SuperSprox Stealth Rear Sprockets utilize a hybrid design that offers riders the best of what sprocket technology has to offer. The outer ring of the Stealth is constructed of highly durable steel with SuperSprox's unique Tri-Zinc coating, while the inner ring is cut from lightweight aluminum. The result is a best-of-both-worlds rear sprocket with the preferred characteristics of each material. 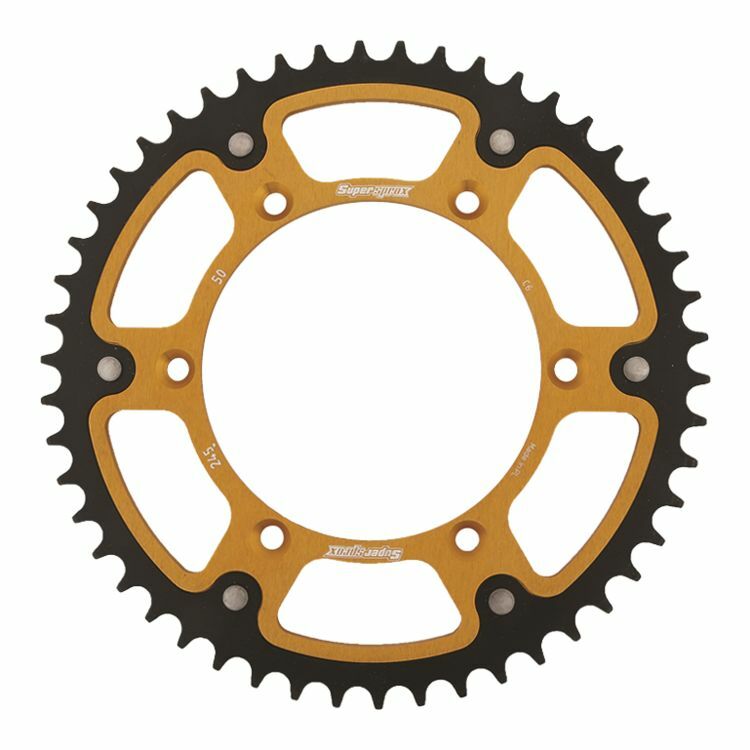 Riders can enjoy the long lasting peformance of a steel rear sprocket combined with the weight savings typically only found in lower-service-life aluminum chain wheels.